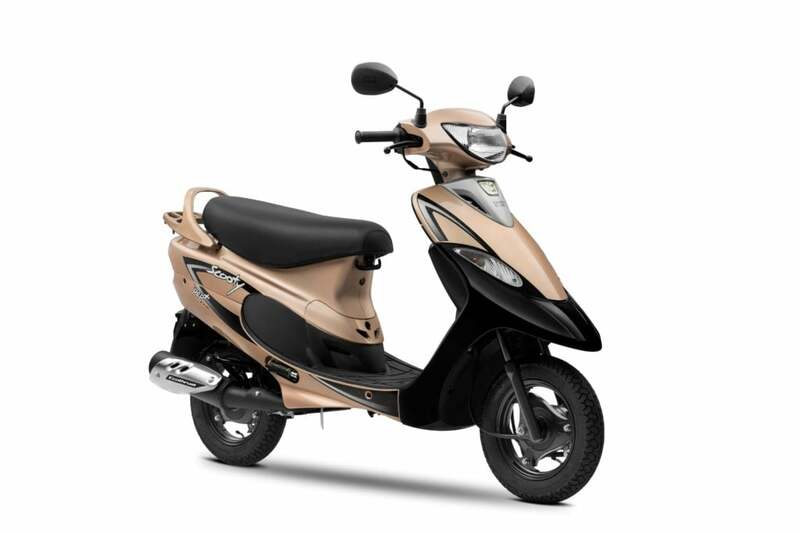 To commemorate 25 years of TVS Scooty in India, the company has now launched the Pep+ in two new colour options. The original ‘Scooty’ has completed 25 years in India. It was one of the first modern automatic scooters to launch in India, and was preferable cheaper than Honda Activa and Eterno. The TVS Scooty Pep+ is now available in two additional colour options – Revving Red and Glittering Gold. With new additions, it is now available in 7 different colour options. Other than that, there are no mechanical upgrades. 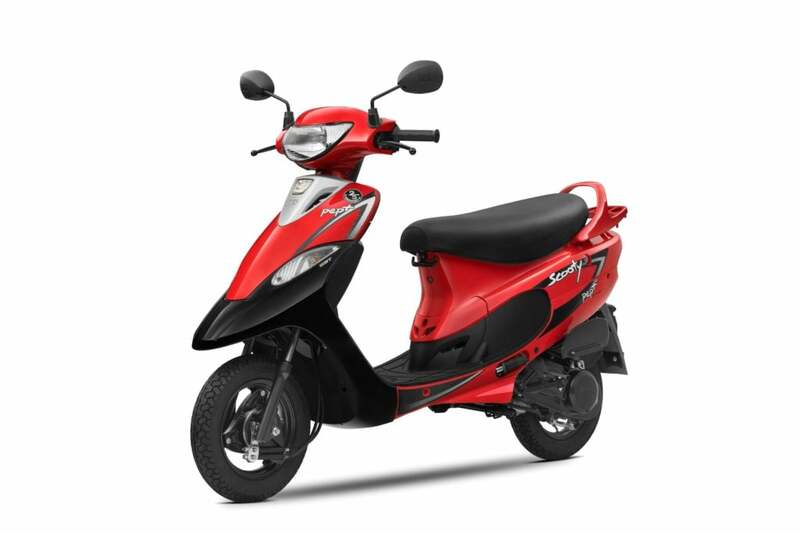 TVS Scooty Pep+ is priced starting from Rs 42,397 to Rs 42,897 (ex-showroom Delhi). TVS has 2 scooters now under the Scooty umbrella – Pep+ and Zest. The latter is more powerful and premium of both the variants. Pep+ uses a small 87.8cc engine, that is capable of producing 5 BHP at 6500 RPM and 5.8 Nm at 4000 RPM. The motor comes mated to a Automatic CVT with torque sensor. Scooty gets a 5 Litre fuel tank capacity. With a claimed fuel economy of 70 kmpl, it should deliver a riding range of nearly 300 kms. Its kerb weight stands at just 95 kgs. Features onboard include advanced Ecothrust engine, DRLs, TVS’s patented Eazy Centre Stand, econometer, mobile charging socket, open glove box on the front apron and side-stand alarm. With the two new colours, TVS Scooty Pep+ is available in Frosted Black, Vivacious Purple, Nero Blue, Nero Brown and Princess Pink options too. For suspension purposes, it uses telescopic forks at the front and monoshock suspension at the back. Braking is handled by drum brakes at both the ends, paired with Synchronized Braking System (SBT). It goes against the likes of Hero Pleasure and Honda Activa-i, which are the cheapest models from their manufacturers.